Nobody likes to give up control. When many CIOs and IT managers first hear about citizen developers, they may worry that citizen developers don’t know enough to develop applications that add business value, but know just enough to create a mess that an IT department will have to clean up. And yes, these are valid concerns if strategic steps are not taken to strategize the implementation of a citizen developer policy within an organization. This will require planning, structure, and organization, but also vision. A part of this vision should include a plan to support your citizen developers with collaboration and governance from IT. Rather than seeing citizen developers as a liability, you can see them instead in terms of their potential. The cool thing about citizen developers is that they already have “good enough” tech skills to be able to contribute to the business. In a survey of 350 non-professional developers, leading global research and advisory firm Forrester found that a significant portion of employees were already contributing to custom application delivery, even when not considered to be IT professionals (How to Harness Citizen Developers to Expand Your AD&D Capacity, Forrester Research, Inc., April 19, 2017). But that’s not all. As citizen developers are mentored and supported, their development skill will increase and they will ultimately be able to contribute applications that have higher business value and require greater development skill. Most citizen developers are likely already proficient with software like Excel, Access, or SharePoint. 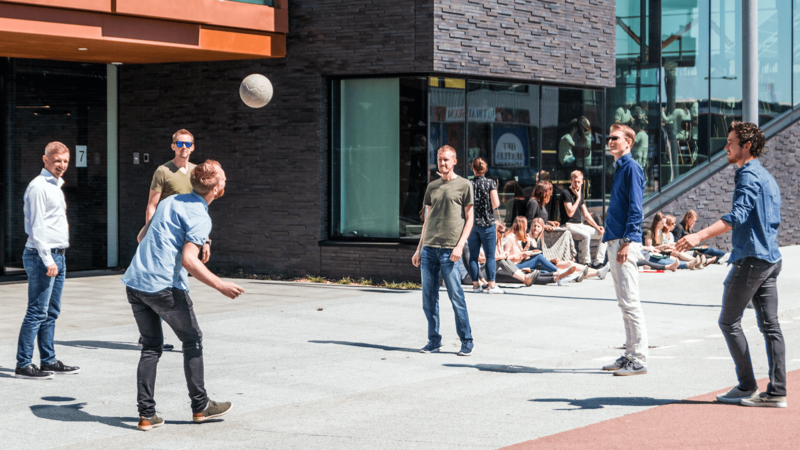 The underlying skills that nontraditional developers gain by using these tools can build on each other and transfer to more advanced development activities (for example, developing with a no-code platform). 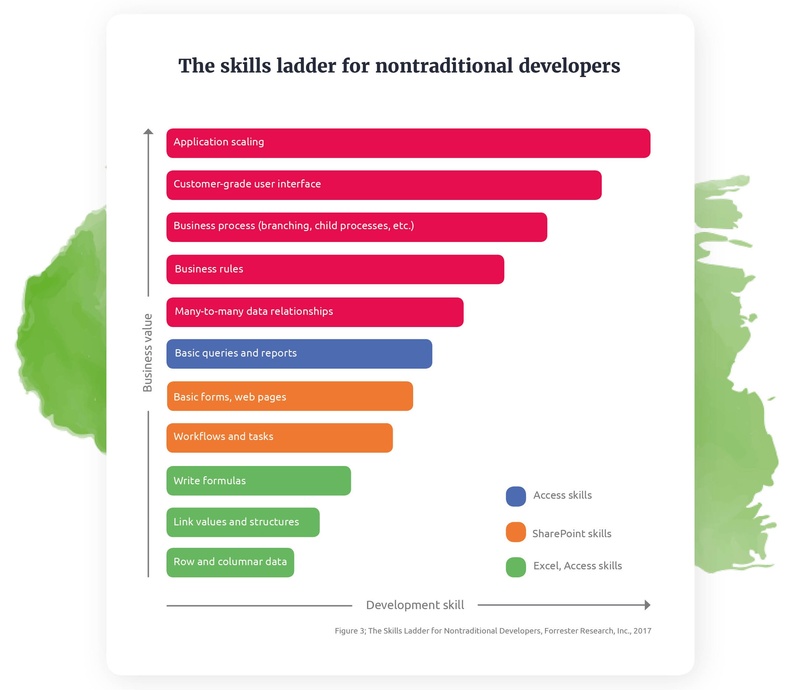 As this skills ladder shows, there is a fair amount of knowledge transfer that citizen developers can draw from to build up their developer skills and make contributions that have higher business value. The more experience (and more tools) they gain, the more their development skills will expand to deliver greater business value. The results are in: An investment in citizen development is an investment of the future success of your organization. For more insights on the citizen developers within your organization, including examples of popular use cases, check out the new Meet Your Citizen Developer whitepaper.